During a recent trip to the Dollar Tree to pick up a gift bag, a package of 6 glittery snowflake ornaments made their way into my cart. Believe it or not, this creation was not what I had in mind when I purchased the snowflakes. I'll get around to creating my original idea and post about it later... ...but for now, 3 frames, craft spray glue, leftover burlap and white paint helped me pull this project together. I removed the backing and glass from the frames and cut burlap to fit the backing. using craft spray adhesive, I glued the burlap to the backing. by cutting them out with an exacto knife and painting over them with white paint. This is so pretty, I love using burlap. Great use of the ornament too. Thanks Sarah! Burlap is definitely one of my favs too. Thanks Bonnie! I'll be looking forward to it!!! Thanks Susan! I'm sure however you have used your snowflakes they looked fabulous. You always have great decorating ideas! What a clever and inspired DIY! I love this idea. Pinning it for future reference....so cute! Hi Jenna, thanks for pinning! 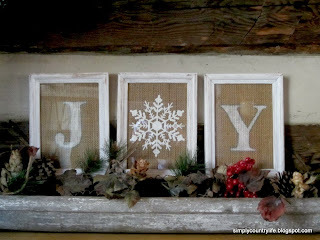 I love your JOY pictures! So simple, yet so cute! You have such beautiful ideas! Thank you for the compliments Mellisa! I LOVE this! Thanks for the inspiration. You're very welcome. Thanks for stopping by and leaving your kind note! Hey Adina! It's Deonna from the Child at Heart blog! I love this post and would love for you to link up to the Merriest Blog Hop and share your creations! Thank you for the compliment and I'll be right over! I love this idea. I sure home the small frames I wanted to get rid of are still in the garage!! I hope you still have the frames too. I debated getting rid of these frames too, but I'm glad I hung onto them. I pinned this to our junkers united board--it has been very popular! Thanks for sharing! 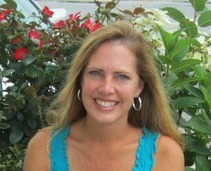 Becky - thank you so much for pinning. I'm off to check out this junkers board! This is way cute!!! What a great idea. 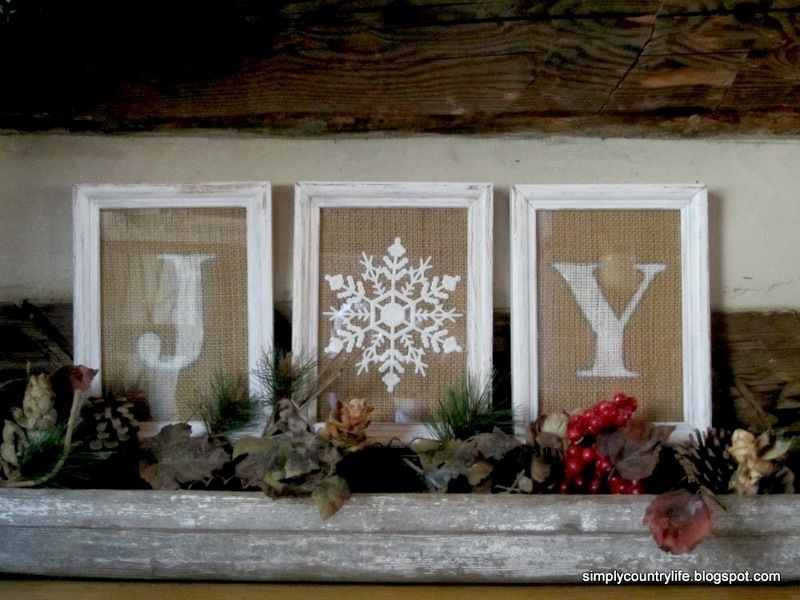 Your joy frames turned out so cute. I love how your project turned out! The ornament is a perfect touch with the burlap. Thanks Gail. I'll be stopping back by your party to check out more of the creativity! I absolutely love this project. In fact, I pinned it the other day before the party. So glad you shared it. Love this!!! Great job! Can you point me towards your other project you mentioned? I <3 this super sweet diy series! Pinned Following you now:) Stop over. I posted doily pillowcase to this year's dollar party! How pretty! What a fun project! I love how you used the snowflake for the "o"! So cute! Oh my! This is just the perfect mix of rustic charm! Just love it! Pinning this one. I did a project similar to this with painted dollar store frames, but I like the way yours turned out much better! 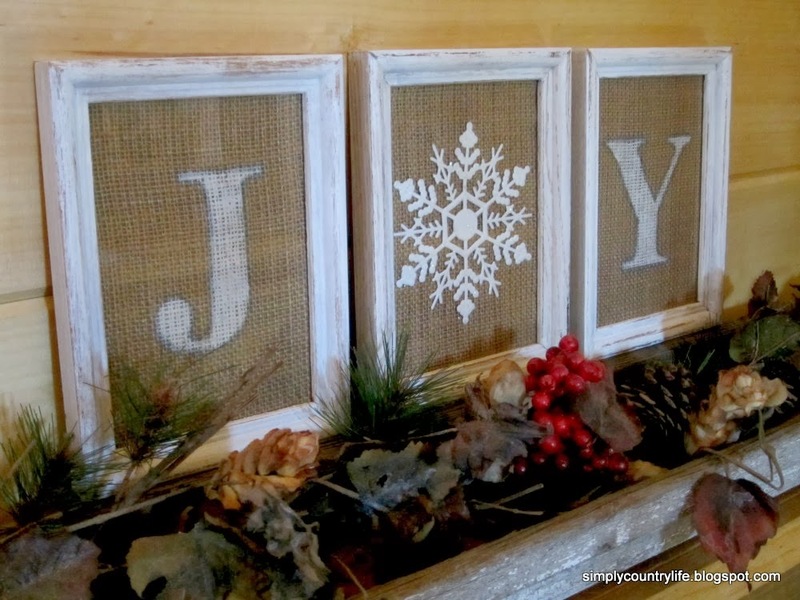 Thanks for sharing this great project at The Pin Junkie. It was featured in this week’s Christmas craft roundup. http://www.thepinjunkie.com/2013/12/christmas-crafts-and-printables.html I hope you’ll stop by to grab a featured button and share your best Christmas recipes at tonight’s party for another chance to be featured! Wishing you very happy holidays! I love how this turned out!! It is so easy but so so cute!! I would love it if you shared this at our wowza weekend link party!! I hope you have a wonderful day! Really cute with the three frames! Enjoy the season! So cute. I'm going to make these. I'm trying to find a good font. Do you remember which font you used? Just want to say thank you for this! I was so inspired that I did it in my home this year and love it! Love it! Just curious about size, though many would likely work, is this in 5x7 frames? Hi there, Yes, I believe these frames were 5x7s. Love your idea... I have some beautiful old crocheted doilies that I'm going to use for the "O" instead of the snowflake ornament. Great way to repurpose my grandmother's hand made work. Making another with the word "SNOW". THANKS! What a wonderful idea Aprile! I love being able to display family heirlooms in creative ways. I'm sure it will be beautiful and make you smile every time you look at it.